Dmitry Andreikin, Hikaru Nakamura and Maxime Vachier-Lagrave defeated their opponents today, perhaps, inspired by the great Champions Bobby Fisher, Tigran Petrossian and Mikahil Tal (whose portraits are on the background of the photo from the opening ceremony). Maxime Vachier-Lagrave started the Grand Prix series with victory over the top seed of the tournament Fabiano Caruana. In a “must see” game Nakamura vs Jobava, Georgian player sacrificed a rook for 3 pawns but blundered in a very complex position being short of time. Shakhriyar Mamedyarov unexpectedly lost in the endgame with pawn up against Dmitry Andreikin. 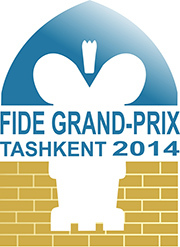 Three other games Giri-Gelfand, Kasimdzhanov-Jakovenko, Radjabov-Karjakin were drawn. On 20th of October before the opening ceremony of Grand Prix in Tashkent, FIDE President Kirsan Ilyumzhinov, together with the Deputy Prime Minister of the Republic of Uzbekistan Adham Ilkhamovich Ikramov, Chairman of the Chess Federation of Uzbekistan Alisher Saidabbasovich Sultanov and First Deputy Minister of Sport Muradzhan Bakievich Aliyev visited the new specialized youth chess school recently opened in the center of Tashkent. The school includes training rooms, playing halls, dining room and other facilities. The second stage of FIDE Grand Prix series 2014-2015 was officially opened on Monday evening at the Gallery of Fine Arts in Tashkent. The tournament's opening ceremony was attended by chess officials, sponsors, national and international media. From 21st of October till 2nd of November over eleven rounds, the strongest players in the world will compete in the round robin tournament. The tournament follows the first stage which recently finished in the capital of Azerbaijan. Fabiano Caruano (ITA) and Boris Gelfand (ISR) tied for the first place in Baku Grand Prix and are the leaders in the third GP series. In a few days the second stage of the Grand Prix series 2014-2015 will start in Tashkent (Uzbekistan) and will take place from the 20th October until 2nd of November. Back in 2012 and 2013 Tashkent hosted one of the stages of the Grand Prix series 2012-2013 as well as one of the tournaments of the Women's Grand Prix series 2013-2014. The tournament follows the first stage which recently finished in the capital of Azerbaijan. Fabiano Caruano (ITA) and Boris Gelfand (ISR) tied for the first place in Baku Grand Prix and are the leaders in the third GP series. Tashkent (Uzbek: Toshkent, Тошкент; Russian: Ташкент]; literally "Stone City") is the capital of Uzbekistan and of the Tashkent Province. The officially registered population of the city in 2008 was about 2.2 million. Unofficial sources estimate the actual population may be as much as 4.45 million. 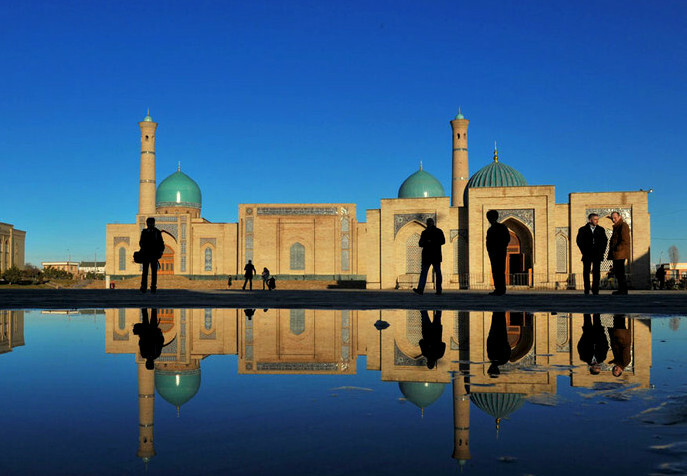 At the moment, Tashkent is the most cosmopolitan city in Uzbekistan. The city was noted for its tree lined streets, numerous fountains, and pleasant parks, at least until the recent tree-cutting campaigns initiated by local government. Since 1991, the city has changed economically, culturally, and architecturally. The largest statue ever erected for Lenin was replaced with a globe, complete with a geographic map of Uzbekistan over it. Buildings from the Soviet era have been replaced with new, modern buildings. One example is the "Downtown Tashkent" district which includes the 22-story NBU Bank building, the Intercontinental Hotel, the International Business Center, and the Plaza Building.